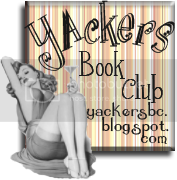 This fine Monday morning, I have a guest review up on the fantastic Rhiana Reads. I wouldn't normally link to a guest post (it seems awfully self promotional) but Rhiana Reads is one of my favourite blogs and I wanted to use this excuse to make sure that you all go and check it out. 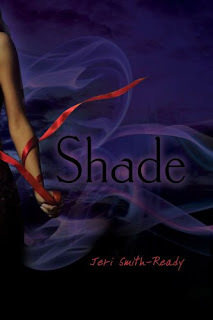 Also, the review is for Shade by Jeri Smith Ready - a book which is easily in my top five of the last year. 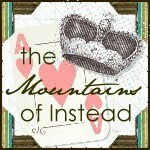 Check out the blog, check out the book - you won't be disappointed. Awesome, right? I love the simplicity of it. And that guy has a particularly hot voice. Which helps. This follow up to the hugely creepy Nearly Departed (review here) moves from hugely creepy to enormously terrifying. See my review here and a Q and A with the author here. I enjoyed it immensely in a crap-I'm-going-to-have-to-sleep-with-the-light-on sort of way. I cannot stress enough how excellent both The Dead and its predecessor, The Enemy are. 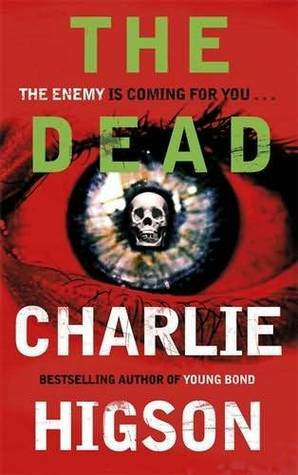 Zombies, London, Small Sam and The Kid.... Really very, very good. I have reviews written for both titles which will be posted during my Week Of The Living Dead, which coincides with the release date of The Dead. There will be a give away of both titles then and even if you don't win, you should still invest in a copy of each. 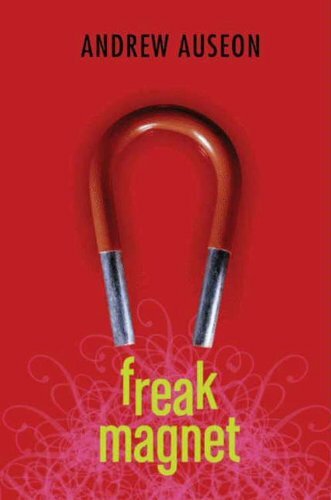 After reading this review by Carla over at The Crooked shelf it just seemed rude not to get a copy of Freak Magnet. I know nothing about it other than what she wrote, but she makes it sound so good that I am really looking forward to finding out more - apart from anything else, Carla has excellent book taste and I've yet to dislike anything that she's recommended. I have read some extremely mixed reviews of Swoon. It seems to have completely divided the blogosphere with some raving about it and others ranting in the extreme. If nothing else, these reviews have made me very curious to find out what all the fuss is about. This isn't a title that I know much about but I have heard only good things about it (apart from the fact that it's being turned into a film starring the god-awful Miley Cyrus). Thanks to the fabulous UK Book Tours for arranging this copy. The lovely Vicki at Rhiana Reads sent me a copy of this book after I expressed an interest in reading it. 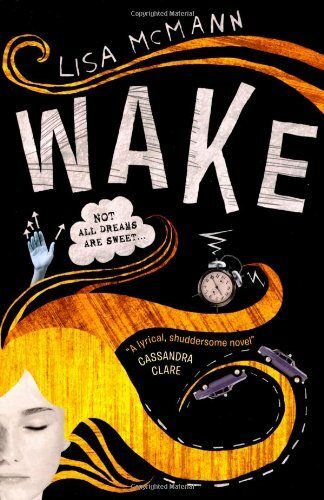 I like the fact that it is a dystopian/post-apocalypse tale that looks like fantasy. Should be an interesting read - thank you, Vicki! In Nearly Departed, I was as frightened by the estate setting and violence within it as I was by the paranormal aspects of your story. What inspired you to set what was essentially a ghost story in such a bleak, modern setting? When I was a child, my reoccurring nightmare was being chased around a dark and abandoned concrete landscape by some unseen malevolent force. I didn't put two and two together until quite recently, but I think that Woodsville is the landscape of my dreams. Immortal Remains absolutely terrified me - more than anything has since the classic ghost stories that I read as a kid. Do you have a ghost story that particularly frightens you (either your own experience, an apocryphal tale or a known work of fiction)? My favourite ghost story in literature is The Turn of the Screw by Henry James. It’s subtly written, the unspoken subtext so skilfully implied and I love the uncertainty about the lead character - is she haunted or mad? Immortal Remains ends on a bit of a cliffhanger - is there anything at all you can tell us about future Weirdsville instalments? No... Oh, OK then. I think book three is where Kelly and particularly Bethan will come into their own. There is still a dark shadow hanging over Jay and will Hashim finally face what he can't escape. Read it and see! 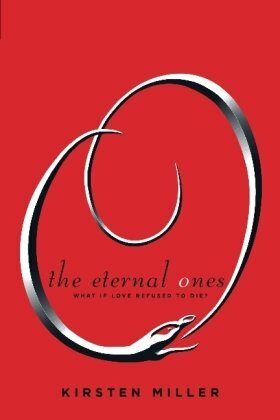 Thanks to Harper Collins for arranging this Q and A and to Rook for answering my questions. I didn't sleep last night. Usually this would be the fault of my delightfully insomniacal two year old, Lady M, but not this time. 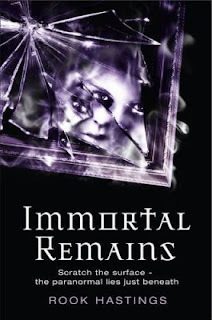 No, this time the blame lies squarely at the door of Rook Hastings and her new book, Immortal Remains. I reviewed the first book in the Weirdsville series, Nearly Departed, several months ago. I enjoyed it very much, despite finding its council estate setting depressingly real. Every single character got right under my skin and the spooky (but not particularly terrifying) story was a bonus track on an already headily disturbing mix of gang violence, domestic abuse and poverty. Immortal Remains is completely different – having introduced us to her cast Rook Hastings has layered on the terror with abandon. Character wise, all the old faces are still about. As with Nearly Departed, I felt most drawn to the character of Kelly. She so easily could have been written as tough-girl-with-heart-of-gold but her characterisation is much subtler. She isn't always kind to her friends, she is unable to escape from her violent father and is severely lacking in tact but this makes her incredibly real. The back story of her missing mother adds pathos to her character and the scenes in which she is scared are all the more frightening due to the fact that she seems to fear so little. Hashim featured less in this installment, but is still the most enigmatic of the bunch – desperately fighting a destiny that he cannot escape. Again, he is not faultless and I particularly liked the dichotomy created by his loyalty and opposing cowardice. Again, he is a very believable character. Jay continues to be likable, although his sunny nature has suffered since the events of Nearly Departed. However, I liked his character development and was relieved to see that he had not been consigned permanently to the role of lovable geek. The only character that I didn't feel moved on much was Bethan. She seems almost superfluous to the plot – only interrupting the story line to provide useful exposition. However, her crush on Jay is so superbly realised by the author that I actually found it hard to read due to it reminding me so much of my own teendom. This, and every single recognisable everyday scenario, along with a cast of kids you could meet on any street play a massive role in the success of Immortal Remains. As far as the plot is concerned, it's all fairly straightforward and familiar to any ghost story aficionado. Ouija board? Yup. Spooky old building? Check. Dark and stormy nights? You betcha. Terrifying trees in windy woods? Hell, yes! This is pivotal to why Immortal Remains works so well. 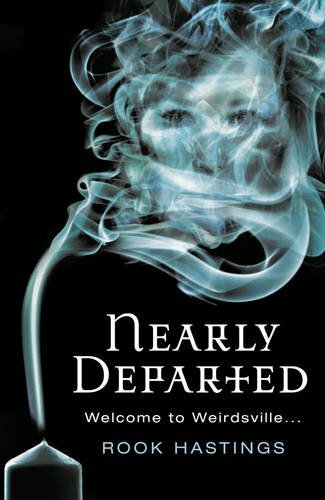 Rook Hastings skilfully drew us into her characters world in Nearly Departed, letting us get to know them and – vitally – painting both them and their lives incredibly realistically. From the council estate setting to the Tesco trainers (sorry, Americans – Google it), I could have gone to school with any of the characters. After Nearly Departed, I liked them, empathised with them and felt like I knew them. Importantly, I was emotionally invested in every single one only to find that, in Immortal Remains, they are suddenly confronted with every single terror that frightened me as a kid. There is nothing hugely new in the scenario that they face but this is exactly what makes it so absolutely terrifying – because, reading this, I just knew what was coming which led me to read the book in a state of complete and utter tension. There were several moments at which I almost didn't want to keep reading. A scene of note finds Kelly in a tower block corridor, paralysed by fear of some unseen force yet unable to run as the lights behind her systematically fail. It's like every bad dream you've ever had. Where Nearly Departed used the estate setting as the greatest source of menace and fear, Immortal Remains has furthered the paranormal aspect so successfully that the estate now seems almost a place of comfort. 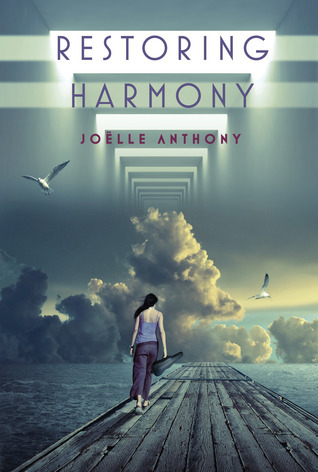 It is a testament to the author's skill that she has woven both the normal and the paranormal together so tightly. Recently I have been disappointed by several new ghost stories. Some attempt a traditional take on scary stories with little success, and still more confuse fear with horror. Immortal Remains makes none of these mistakes. Rook Hastings has successfully taken old terrors and placed them in a modern setting with staggering results – I highly recommend this title. Just don't expect to sleep. Nine of us came here. We look like you. We talk like you. We live among you. But we are not you. Our plan was to grow, and train, and become strong, and become one, and fight them. But they found us and started hunting us first. Now all of us are running. Spending our lives in shadows, in places where no one would look, blending in. we have lived among you without you knowing. This book has one of the best tag lines that I have ever come across: We Were Nine. Three Are Dead. I Am Number Four. 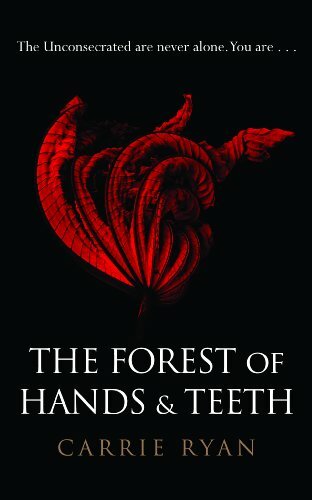 I honestly got shivers down my spine and added the title to my wish list before I even knew what it was about. I had incredibly high expectations, based on those three small lines. The sad thing about high expectations is that it is so easy to be disappointed, and I'm afraid that I finished this book feeling a little let down and a lot confused. Plot wise, the main frame of IAN4 is solid enough. Nine refugees from a war torn alien planet have been hiding out on earth since childhood. Humanoid in appearance, they have now reached their teens having spent their lives on the run from the cruel race that attacked their planet. Protected by a charm that allows them only to be killed in a certain order (providing they stay apart) three are now dead and the protagonist of this story is John – or number four. I liked the back story of his race, the Loric and their enemies, the Mogadorians a lot. I particularly liked that Lorien (his home planet) would appear to be very similar to earth, with the Loric being further along the evolutionary path than humans (they have several gifts or powers that humans don't). The Mogadorians are less familiar in the sense that they look a bit less human but more familiar when we learn that they are ransacking other planets as they have used up all the natural resources of their own home. Sound familiar? The world building is probably IAN4's greatest strength - I liked learning about these imaginary races and places and the information is slotted nicely into the more conventional storyline of boy-meets-girl while evil aliens try to kill him (well, sort of conventional). So far, so good – neat plot, good back story and a sweet romance. However, where IAN4 fell flat for me was the actual characters. At first, when I felt that I couldn't really get into John's head, I thought that it was perhaps intentional - what with him being an alien and all. Then, as I read further I found that I wasn't really getting to know any of the characters. John is pleasant, love interest Sarah is pleasant, new friend Sam is pleasant and Henri (John's Lorian guardian) is pleasant while intriguing as is Sarah's ex, Mark (not quite so pleasant but with potential to be so). But that's it. Pleasant. Apart from Mark, who I felt showed promise as an interesting character in future installments, all the characters were pretty one dimensional. John Smith is, unfortunately, as bland as his name. This problem is compounded by some exceptionally flat dialogue – it all sounds a bit forced and sadly means that the thrilling climax is...well...not particularly thrilling as there is no-one to invest your emotions in. The Mogadorians fare no better as one-dimensional bad guys, not even afforded decent characterisation. The last few pages show promise for future character development and certainly encouraged me to wonder at how the storyline would pan out but they weren't enough to save my crashing disappointment. Author Pittacus Lore is actually two writers – newbie Jobie Hughes and the more established James Frey. I've read one of Frey's adult titles and he is a relatively accomplished writer (although not to my personal taste) so I was surprised to find such flat writing in IAN4 – and particularly amazed at the boring dialogue. Perhaps he felt the need to dumb down for a younger audience (in which case he is sadly underestimating his readership) or perhaps he was involved more on a plot level and let Hughes take the writing reigns (in which case mentor up, Mr Frey). Either way, IAN4 shows none of the (infamously) imaginative flair found in his previous work. From the clear message on global warming which is repeated ad nauseum to John's relationship with Sarah, the writing lacks subtlety. Disappointing when the overall plot is so strong. 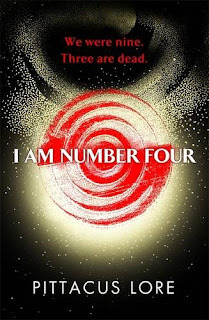 I Am Number Four is the first in a series of books and I will certainly be picking up the second one when it comes out – just with lower expectations. A friend of mine grabbed my copy as soon as I was done with it and absolutely loved it – she regularly scorns my YA book habit and had no idea what IAN4 was about, so had no expectations whatsoever. She is keen to read book two and couldn't understand my criticism. Another reviewer mentioned to me that she was going to approach this title as she would a blockbuster movie (harmless fun and no substance, anyone?) and I think that that is an excellent idea. I suspect that, in this case, I have been let down more by my weighty expectations than the book itself. Talking of movies, IAN4 is currently being filmed for release next year and I have no doubt that it will make a pretty awesome film as the story has an excellent foundation. I look forward to perhaps getting to know the characters better on screen as well as getting to swoon at the gorgeous cast. Yum. Certainly pick up a copy of IAN4, treat is as a light, fun read and don't get bogged down in the hype – it may not have huge literary merit but it does have a slick storyline and a great deal of promise for the future. Thank you to Penguin for sending me this title to review. Blood Feud is the second instalment of The Drake Chronicles. I don't think that there are spoilers here, but if you haven't read book one (My Love Lies Bleeding/Hearts At Stake) then better to be safe than sorry. 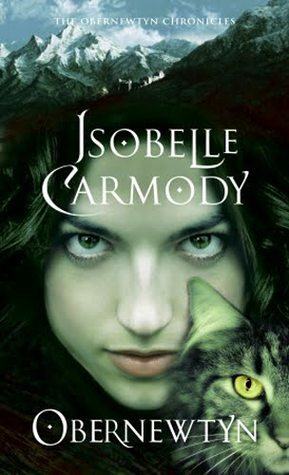 The action and romance continue as the Drakes face a new vampire with a 200-year-old grudge.It’s been centuries since Isabeau St. Croix barely survived the French Revolution. Now she’s made her way back to the living and she must face the ultimate test by confronting the evil British lord who left her for dead the day she turned into a vampire. 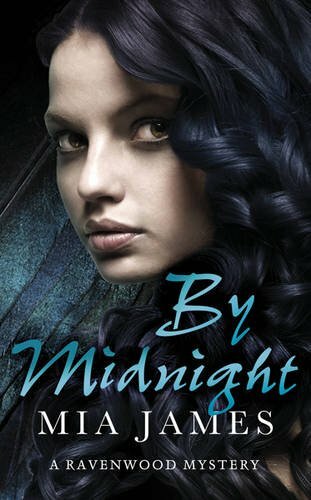 That’s if she can control her affection for Logan Drake, a vampire whose bite is as sweet as the revenge she seeks (blurb courtesy of Goodreads). 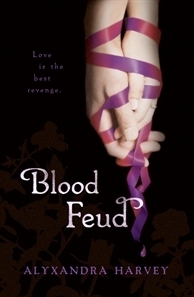 I reviewed My Love Lies Bleeding (Hearts At Stake in the US) several months ago and have been looking forward to Blood Feud ever since. I was curious to see if Alyxandra Harvey could maintain the breakneck pace and witty banter of the original through this follow up and am pleased to be able to announce that she does so with assurance and style. Blood Feud takes us back into the vampire world as inhabited by the Drake Family. The story takes off almost directly where MLLB finished. The Drakes find themselves operating within a Royal court, complete with politics, intrigue and bad décor – never mind archenemy Montmartre shading about the edges. As we find them, they are welcoming representatives from the Cwm Mmau (a separate vampire sect) and the Helios-Ra (vampire hunters) in the hopes of forming a coalition force against Montmartre and the particularly vicious Hel-Blar. I have to take a moment here just to point out how fabulous all of these names are... I love new mythology and each of one these separate factions is steeped in it, with all the names holding great relevance to their owners. Fabulousness, indeed. While MLLB was told from the points of view of Lucy (the Drakes human familiar, for want of a better word) and Solange (the only daughter in the family), Blood Feud switches to a duel narrative. 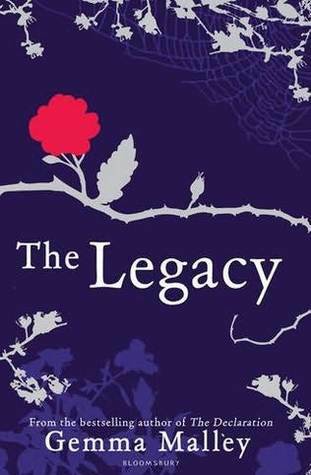 The story is told from the perspectives of Logan Drake – frock coat wearing, Byron loving, Drake brother and Isabeau – Hound handmaiden and erstwhile survivor of the French revolution. I was initially a bit wary of the change of focus, wanting to find out more about Solange's situation and particularly wishing to see plenty of Lucy and Nicholas but found that the new narratives were so enjoyable that I didn't care. All the old faces are still about with Lucy and Nicholas providing some hilarious dialogue when they do appear (although an exchange between Logan and Nicholas makes me suspect that there may be angst in store for the couple in later installments). However, this story really belongs to Logan and Isabeau and works all the better for it. Logan is easy to like. Standing apart from his brothers due to his rather archaic sartorial flair and dramatic, romantic nature, he is utterly charming and the fact that he knows it only works further for him. In most other characters, rushed declarations of love mere hours from meeting would seem ridiculous but Logan carries it off with aplomb. The camaraderie he shares with his brothers is a lot of fun while his somewhat mindless protection of Solange is both hilarious and touching. For me, though, it was Isabeau who made this such a page turner. As a Hound (a vampire left to go through the “blood change” without assistance therefore developing two sets of fangs and a somewhat wild nature) she is considered freakish by other vampires. Left alone in a coffin for two hundred years, she is desperate to wreak revenge on the creature that put her there. 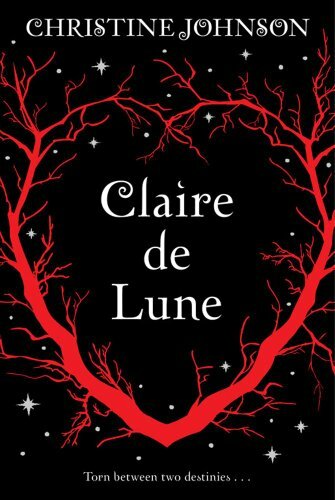 I really enjoyed the flashbacks to her childhood both pre and during the French revolution which surprised me as I have a (shameful) tendency to skim read anything remotely historical. There is some lovely fore-shadowing in a scene where a young Isabeau falls asleep with raspberry stained lips, surrounded by the poodles of the French gentry. 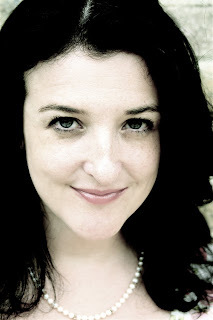 Every now and again you come across a writer who you just really enjoy and for me Alyxandra Harvey is one of these authors. Her writing is fast paced – like MLLB, Blood Feud is fairly short yet covers an amazing amount of ground. This, combined with the complex mythology, means that readers really need to keep their wits about them in order to avoid confusion. I don't mean this as a criticism – I like a writer who doesn't feel the need to spoon feed readers. I love the structure of Alyxandra's plots, the nuances of her writing and her humour (“deranged monkeys” - ha!). And the Drake brothers are a truly wonderful creation – who wouldn't enjoy reading about seven, gorgeous, funny and protective young men. Delicious. I am delighted that the next book in this series is out so soon as I certainly am looking forward to reading more of the same. 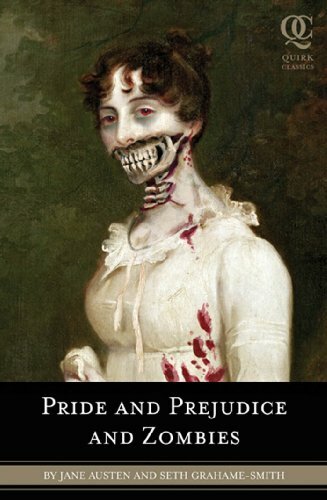 As a brief postscript, mad props again to Bloomsbury for creating such a gorgeous cover. It beats the rather cheesy American one hands down. Thanks to Bloomsbury for sending me this title to review. I absolutely love the first two books in this series and was delighted to receive The Legacy to review. I expect it to be thrilling and bleak. I'm certainly not holding out for a happy ending. 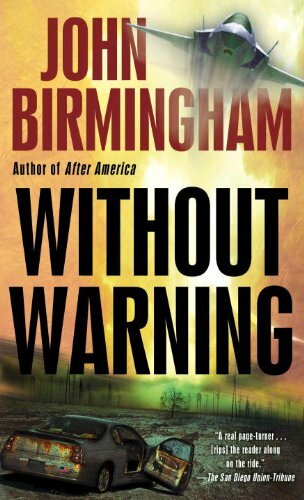 This one has been on my wish list forever - it just looks great and I'm really enjoying dystopia/post apocolyptic fiction right now. Thanks to UK Book Tours for organising this copy flitting its way around the UK (and to Asamum for posting it to me). Astrid is my close friend and daughter's Godmother who visits us yearly from Vietnam. This year she dutifully trawled through several YA titles that I recommended (which is this case means forced upon) and in return ordered me this trilogy. 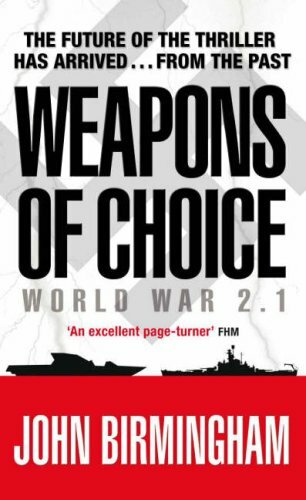 The books are adult and set in the second world war (sort of) so are way outside my comfort zone - but they look ace so I'm excited about getting into them. The basic premise for this title is that the majority of America has been covered with a vast and destructive "wave" which has destroyed everything under it leaving just a small portion of the Pacific North-West uncovered. The book looks at the implications both within America and through the rest of the world. Great idea, huh? And another adult book, which makes a nice change. I had this in hardback, but my copy seems to have gone walkabout ne'r to return. 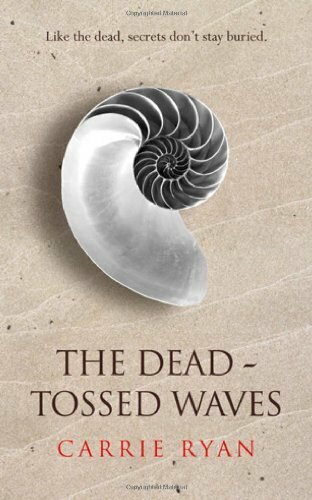 I hadn't planned on replacing it but have just been blown away by The Dead Tossed Waves and therefore have to have the set to return to in the future. Again, this has been on my wishlist for a while and I found it going cheap on Amazon (God love you, Amazon, for your cheapness and ease of use). Intriguing story, lovely title and gorgeous cover. What more could I want?? And that's it. Sort of. I just returned from holiday and there are two further packages waiting for me at the post office, so if you've sent me a book this week and I haven't mentioned it then it is probably lying in wait for me there. I am officially back home from my many travels now and will be diligently reviewing/posting/commenting over the next few days - once I get through the scary number of entries in my Google reader.... Happy reading, everyone! Ruby, where is your mother?" Ruby knows that the game is up. For the past few months, she's been on her own in the yellow house, managing somehow, knowing that her mother will probably never return. 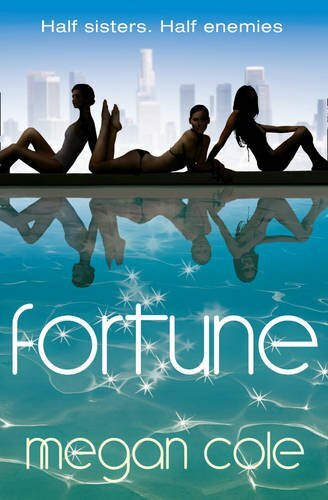 That's how she comes to live with Cora, the sister she hasn't seen in ten years, and Cora's husband Jamie, whose down-to-earth demeanor makes it hard for Ruby to believe he founded the most popular networking Web site around. A luxurious house, fancy private school, a new wardrobe, the promise of college and a future—it's a dream come true. So why is Ruby such a reluctant Cinderella, wary and defensive? And why is Nate, the genial boy next door with some secrets of his own, unable to accept the help that Ruby is just learning to give. 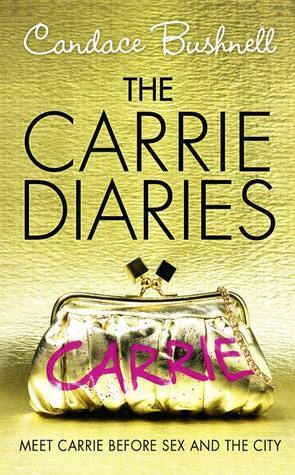 With Ruby, Dessen has created an utterly believable character. After a difficult childhood, Ruby finds herself abandoned by her mother and living with a sister who disappeared years ago and a brother-in-law she has never previously met. Thrust into a life of luxury from quite the opposite, Ruby finds it hard to settle – completely unable to set down roots, having never before had to do so. Ruby's prickly persona is absolutely in keeping with her story and is always understandable, yet never overplayed. She is uncomfortable, yet never acts out hugely bar one occasion which was refreshing as I fully expected (from reading the blurb) her to be on full teen-runaway mode. The story as a whole is really quite a quiet one, as Ruby slowly acclimatises to her new life and figures out a way to build lasting relationships with those around her. I was gratified that at no point was there a sudden shift to her being completely adjusted and surrounded by dozens of friends – its all very much a work in progress, even as we leave her, which again makes her story all the more believable. The secondary characters are really great. Nate is refreshing in that he is not just the hot boy next door, but has his own story and issues. He and Ruby make a very complimentary pair and it is lovely to watch their friendship develop over the course of the book – no rushed romance here, just a slow acceptance of each other as friends, something that you suspect both of them find difficult. Cora is quietly complex as Ruby's sister and one of the most compelling aspects of the book is the question of why she left Ruby and their mother (who only appears as a shadowy and absent figure) in the first place. A very special shout out to Cora's husband Jamie, who has to be one of the nicest characters that I've read in ages. He is utterly gleeful, kind, welcoming and warm – yet not at all two dimensional, and the first to be hurt when Ruby does eventually act out. I would love to be around him for the holiday season – a man who loves Christmas is a man after my own heart. I loved the ongoing themes running through the book – that of family and friends being ever evolving rather than set in stone, and that of what makes a home. I found the authors examination of these questions to be heartwarming and finished the book with a smile on my face. In fact, despite the sometimes sad subject matter, I found this a really comforting book to read. 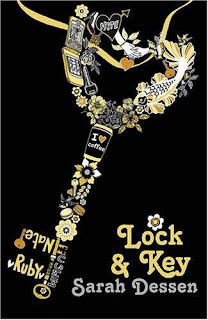 There was something in the writing that reminded me of the Caroline B. Cooney books that I loved when I was younger (although Lock and Key has a little more length and depth) and I was actually sorry to leave the characters behind when I finished reading. I think I could have happily stayed with their story for several more chapters. 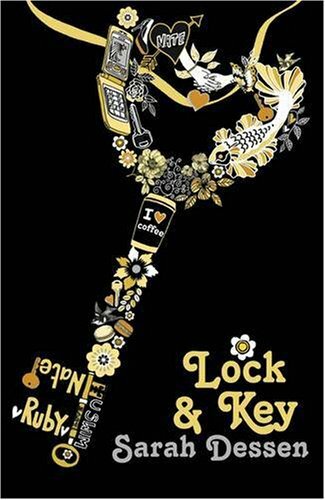 One thing is for sure, while I may still get nowhere with This Lullaby, Lock and Key will certainly not be the last Sarah Dessen book that I read. My only regret is that it has taken me this long to discover her. Thank you to the kind folk at Puffin for sending me this to review.